Samsung is working on a successor to the Galaxy Grand Prime from 2014. The upcoming Grand Prime (2016) has so far been benchmarked and spotted at the FCC as well as in an Indian import tracking database. So clearly it should be arriving soon. While we do know quite a few of its specs already thanks to that aforementioned benchmark run, today courtesy of Samsung itself we have some news about its software, since the company's published a user manual for the new Grand Prime already. It reveals the fact that this decidedly low-end device will come with Samsung's Grace UX on top of Android 6.0 Marshmallow. 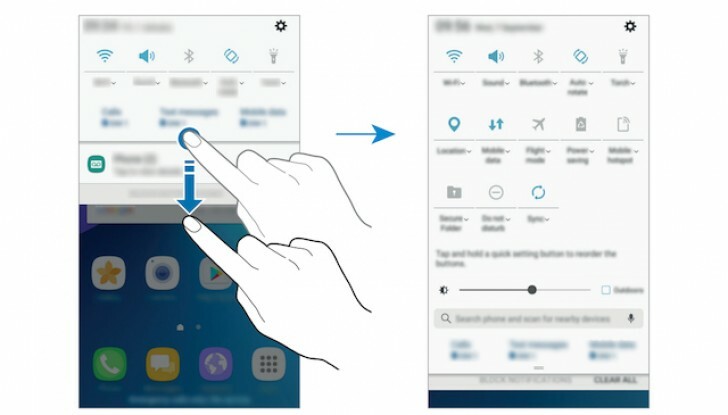 That's the new interface that made its debut in the Galaxy Note7, and will probably arrive on the S7 series with the Nougat update. The Grand Prime (2016) doesn't have a fingerprint scanner, so it won't come with Samsung Pay. Nor will it have a theme store, apparently. On the other hand, the phone will get features such as Wide Selfie, Ultra Power Saving Mode, Smart Manager, Game Tools, and Multi Window - all spotted before in the Korean company's high-end offerings. If you want to learn more about the new Prime's software, hit the Source link below for the full manual (if you're fluent in Russian, that is). The Galaxy Grand Prime (2016) will have a 5-inch 720p touchscreen, an 8 MP main camera, a 5 MP selfie shooter, MediaTek's MT6737T SoC with a 1.4 GHz quad-core Cortex-A53 CPU, 1.5GB of RAM, and 8GB of built-in storage. It's unclear how much it will cost, but with those specs it has to be cheap in order to sell.